American Airlines has not published award charts for travel on partner airlines so AAdvantage Miles still can’t be used on the likes of BA, Qantas etc… for Premium Economy bookings. Upgrades haven’t changed – you can still upgrade between Economy and Business Class as before. 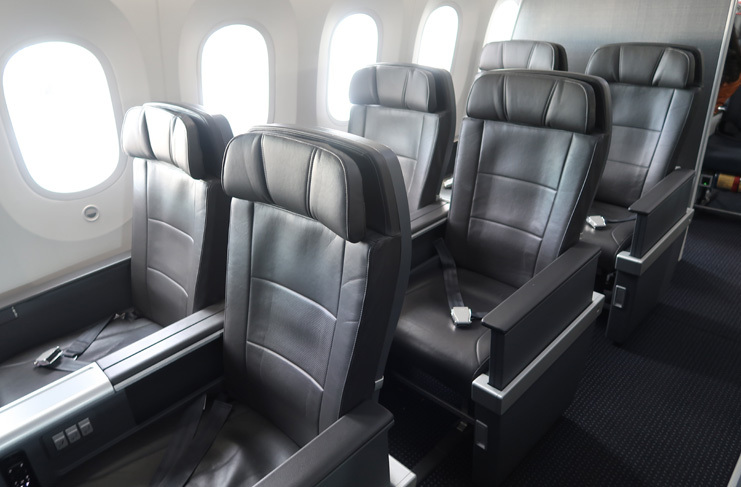 Upgrades between Economy and Premium Economy have not yet been introduced. 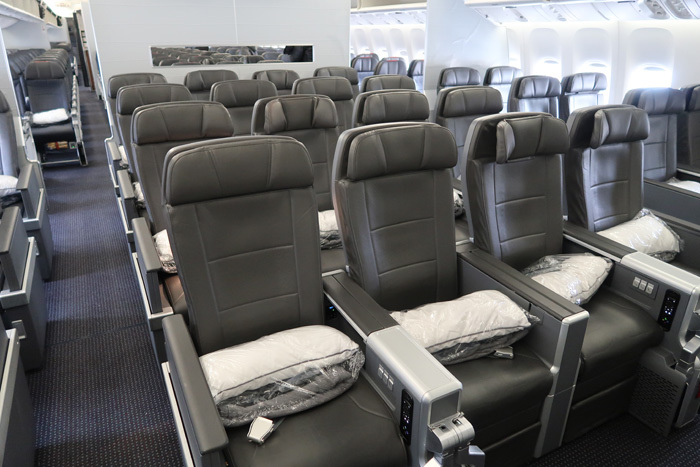 A Premium Economy Mile SAAver award between the US and Europe costs 40,000 miles – Economy Class awards cost 22,500/30,000 miles (off Peak Mile SAAver/Regular Mile SAAver) and a Business Class Mile SAAver award costs 57,500 miles. A Premium Economy Mile SAAver award between the US and Japan costs 50,000 miles – Economy Class awards cost 32,500/35,000 miles (off Peak Mile SAAver/Regular Mile SAAver) and a Business Class Mile SAAver award costs 60,000 miles. A Premium Economy Mile SAAver award between the US and Hong Kong costs 50,000 miles – Economy Class awards cost 32,500/35,000 miles (off Peak Mile SAAver/Regular Mile SAAver) and a Business Class Mile SAAver award costs 70,000 miles. A Premium Economy Mile SAAver award between the US and Sao Paulo costs 40,000 miles – Economy Class awards cost 30,000 miles and a Business Class Mile SAAver award costs 57,500 miles. It’s going to be hard to say just how good or bad the value of Premium Economy awards is until we know what availability is going to look like. I could say that I don’t think the Premium Economy SAAver award to Japan looks all that enticing at 50,000 miles when you can book Business Class for just 10,000 miles more….but that point is moot if Premium Economy SAAver awards are plentiful and Business Class SAAver awards continue to make DoDos look easy to find – the comparison would then have to be between the cost for Economy and the cost for Premium Economy and on that basis Premium Economy wins every time. Writing as someone who flew in American’s Premium Economy cabin last week (and on a 10+ hour flight) I can say that the extra 10,000 – 17,500 miles to fly between the US and Europe in Premium Economy rather than Economy is well worth it on flights from/to the West Coast while I’m not convinced I’d pay 17,500 miles more if I was on a daytime flight to/from the East Coast. The same goes for the 15,000/17,500 miles premium over Economy Class to/from Asia – Premium Economy will be a very nice upgrade over Economy on routes as long as these and I’d happily pay the premium to escape the 17″ wide seats in the lowest cabin. Given the choice between Premium Economy and Business Class there are very few routes on which I wouldn’t pay the premium for Business Class. As well as flying in American’s Premium Economy cabin last week I also flew in the airline’s 777-300ER Business Class cabin and the gap between the two is huge (in terms of comfort). On the longer flights (to Asia and South America and from the West Coast to Europe) I would always choose Business Class over Premium Economy given the choice….but things aren’t quite so black and white on flights to/from the East Coast. On routes between the East Cost and Europe I may be tempted to book Premium Economy awards on daytime flights (just to save some miles for a future trip) but I would still default back to Business Class if I was flying overnight and needed rest. Once again the value of the Premium Economy awards will come down to the availability of the awards as well as the availability of Business Class AAnytime awards too. Overall it looks as if Premium Economy AAnytime awards will offer a good alternative to the Business Class awards. Even assuming that most people who book AAnytime awards have access to a significant number of AAdvantage Miles I can see a lot of people being tempted by the Premium Economy awards…especially on daytime flights. The Premium Economy award on the European routes is an interesting one because at AAnytime Level 1 the difference between PE and Business Class is 35,000 miles while at AAnytime Level 2 its just 25,000 miles. If I was booking an AAnytime Level 2 award I’d probably always use an extra 25,000 miles to enjoy the comfort of a lie-flat bed but I’m not sure I’d say the same for the 35,000 miles extra needed for an AAnytime Level 1 award (others may differ). The best savings that Premium Economy AAnytime awards offer are on the routes to the Asia 2 region (Hong Kong/China). Compared to the Business Class awards Premium Economy is 55,000 miles or 60,000 miles cheaper (one-way) and that is a significant saving when taken in the context of the whole award chart – you can book a roundtrip international Business Class award with what you can save by choosing Premium Economy over Business Class on a roundtrip award to Asia 2. Based on the award charts it looks like Premium Economy will be a worthwhile upgrade from Economy Class on most routes while, given the choice, the premium charged for Business Class will be well worth paying too. It’s great to see American Airlines leave the cost of other awards untouched (I thought American would use this update to devalue the premium cabins) but I still think that a devaluation is coming. The size of the gap in award cost between Premium Economy and Business Class doesn’t accurately reflect the size of the gap in comfort between Premium Economy and Business class and I expect American Airlines to address this sooner rather than later. More expensive Business Class awards are in our future but how soon into the future we don’t as yet know.